Trying to decide whether to switch your older dog to senior dog food is harder than you’d think. Partly it’s because dogs age at different rates. Most gain senior status sometime between seven and 12 years old, but small dogs age much more slowly than large or giant dogs. In other words, your Chihuahua might be going strong at 12 years of age while your Saint Bernard is slowing down at age six. 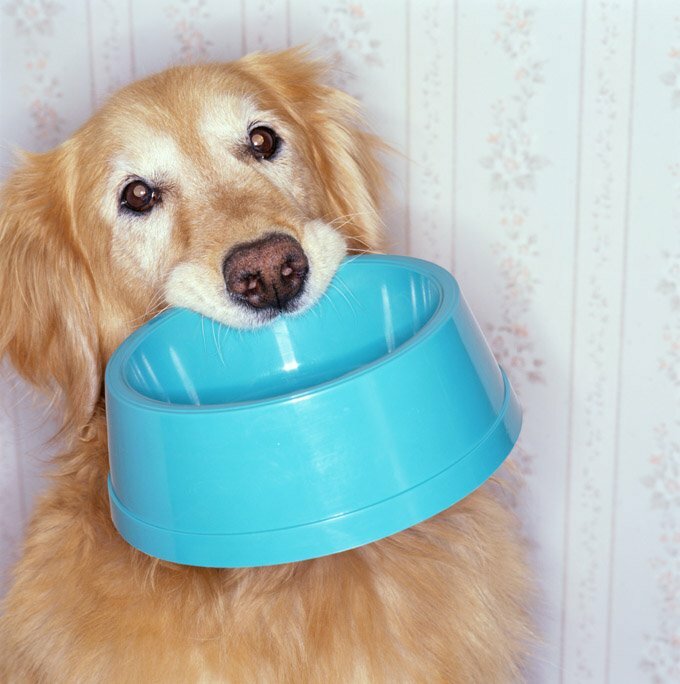 The bigger challenge is that there aren’t clear guidelines on what senior dogs need to eat. And because there is no standard definition of “senior” foods, the companies can produce whatever they like. The only limitation is that they meet broad industry guidelines for adult dogs. This means some brands are higher in calories, others are lower. Some have more protein, others less. In short, if your dog still seems to be doing well on his regular food, there’s no real reason to switch him to anything else. One of the few times you might need to change your dog’s food is if he develops kidney or liver problems, and requires a low protein diet. So ask your vet to perform blood work on your older dog once or twice a year and monitor him. Many experts also recommend buying your dog high quality food, as a way of helping to delay or stave off age-related health problems. Offer your dog fruits and vegetables. All dogs benefit from eating small amounts of fruits and vegetables, particularly when they’re older and more prone to constipation. Add fiber to your dog’s diet in the form of wheat bran, steamed fresh green beans or canned green beans, or plain canned pumpkin. Add extra nutrients. Antioxidants such as vitamin E and beta-carotene, omega-6 fatty acids such as gamma linolenic acid (GLA), and fructooligosaccharides (FOS) can help boost an older dog’s immune system, burnish his skin and coat, and support healthy digestion. Many of these nutrients are baked into high-quality foods. Increasingly, people are feeding these nutrients to dogs in the form of nutritional supplements as well. Because dogs often develop arthritis as they age, vets increasingly suggest adding a daily glucosamine-chondroitin supplement to his diet as well. Check with your vet about special dietary needs. Dogs with kidney disease, for example, should switch to low-protein diets. Your veterinarian can prescribe an appropriate food or refer you to a veterinary nutritionist who can help you devise a suitable homemade diet. Most older dogs gain a little weight over the years because they’re just not as active. If your dog is in this club, dole out less food to compensate for fewer calories burned. A less frequent occurrence is when dogs become thinner with age. While not always the case, weight loss can be a sign of health problems. So if your older dog is losing weight, take him in for a vet exam to rule out any medical conditions. Some solutions may require minor adjustments. For instance, your dog may be found to have dental problems that make it difficult to chew food. If that’s the case he might benefit from switching to smaller-sized kibble, or canned food. Your geriatric dog will appreciate familiar, comfortable routines as much or more than he did when he was younger. Keep feeding him at the times he expects, twice a day, unless your vet has advised specific changes based on his health.